Russian engineers are working to breathe new life in Soviet-era plans to develop a laser tank, a staple of Hollywood blockbusters and video games, Russian media reported. During the closing years of the Cold War, the USSR tried to make that part of science fiction come true and it worked, but not too well. In its May 28, 2015 article the state-run Rossiyskaya Gazeta newspaper hinted that Russian engineers were now working on similar laser weapons “without advertising it.”By the mid-1970s, the Soviet Union was eagerly pursuing laser weapons on land, at sea, in the air and in outer space as a useful counter to US and Western European optics, missiles, spy satellites and other high-tech systems. In 1982, it built the first full-size prototype of an energy weapon for a ground vehicle and installed in on a tracked chassis. The first laser tank was born. “Creators of the wonder-weapon began thinking about what to call their development so no one would guess anything and, most important, so there also was no mention of a laser,” the Moscow-based Rossiyskaya Gazeta noted. “They called it a portable automated sighting device, designated the vehicle the 1K11 and dubbed it the Stilet — or Stiletto. It was meant to burn out enemy cameras, scopes and seekers,” it added. Far more impressive was the 1K17, which boasted a far more powerful multi-channel laser on a T-80 tank chassis. A dozen individual lenses amplified the main beam as huge batteries allowed the vehicle to fire multiple “shots” in rapid succession. “[The] laser guns … were capable of burning out all enemy optics within direct line of sight in fractions of a second,” the newspaper wrote. “When there was contact with enemy armored vehicles, Soviet laser tanks simply would blind them, making aimed fire impossible,” Rossiyskaya Gazeta wrote. The energy beam would have twice the range of a normal tank gun. In 1992, the first prototypes rolled out of the factory, but the economic chaos in the wake of the Soviet collapse forced the government to cancel the program. “There are a handful of areas … where, theoretically, Soviet-era engineering remains competitive on today’s battlefield,” retired US Army Major Ray Finch, - an analyst at the Army’s Foreign Military Studies Office , — wrote in the June 2015 edition of OE Watch. MOSCOW, April 27. /TASS/. 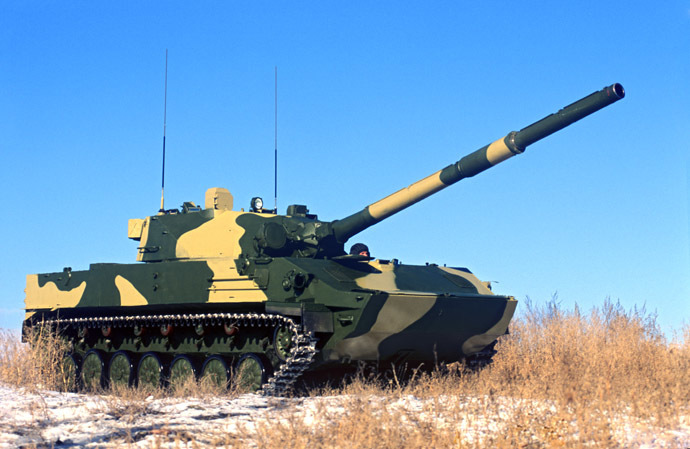 About 100 most advanced tanks on the Armata platform will be delivered to the Russia army for testing in the next several years, Oleg Bochkarev, a deputy chairman of the board of the Russian Defense Industry Commission, said on Monday. preliminary tests,” Bochkarev said, adding that a pilot party of Armata tanks was being manufactured for the army. 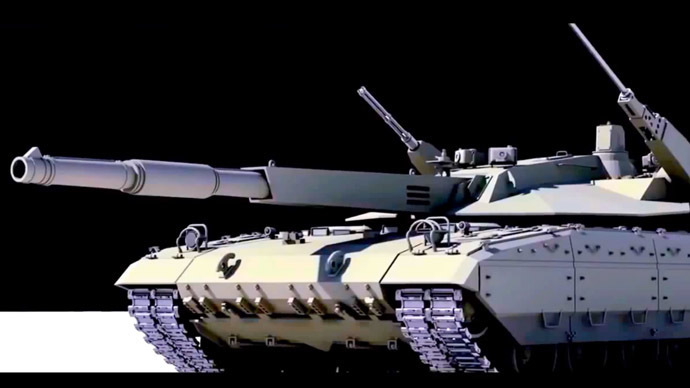 “Machines we will see at the Victory Parade will be the first in a batch that is to go the army for trials by the yearend,” he said, adding that said about 100 such tanks would be tested. In his words, trials would take place both in the Arctic and in regions with hot climate. He said such tanks could be controlled in a remote mode and in case of a critical hit it would be able of withdrawing from the line of fire by itself. MOSCOW, April 16. /TASS/. Russian President Vladimir Putin has said he quite agrees with a phrase once coined by Russian Emperor Alexander III to the effect “everybody is scared by Russia’s vastness” and that the country has just two allies – the army and the navy. “I would like to remind you Alexander III, our emperor, once said that Russia has just two allies, the armed forces and the navy. In a message addressed to his son he warned that everybody feels scared at the vastness of Russia. Incidentally, there is a certain reason behind that,” Putin said during the Direct Line question-and-answer session televised live on Thursday. At the moment there are many countries and leaders in the world who support Russia’s efforts in the struggle with international terrorism, organized crime, xenophobia, and other modern challenges, he said. “We have very good relations within the framework of various associations, for instance, BRICS. There is the Shanghai Cooperation Organization. These are not military organizations, but they are our allies, which whom we have been cooperating very tightly and advancing relations,” Putin said. As a military-political alliance he mentioned the Collective Security Treaty Organization. Russia maintains very close relations of alliance with its member-states. “I proceed from the assumption that we are not going to have a war with anybody. We will certainly be strengthening our defence precisely for the sake of ensuring nobody develops the wish to be at war with Russia,” Putin said. A source who attended the closed meeting of the Military-Industrial Commission told the media outlet on condition of anonymity that he was “shocked” by the demands of the military.. According to the source, the PAK TA project has been ongoing for several years now and will eventually supplant the currently operating air freighters. But such a global mission statement for national military transport aviation has never been voiced before. The initial PAK TA specification entailed building subsonic air freighters with a conventional 900 km/h cruising speed and a moderate 4,500-kilometer range. The program involves the creation of wide-body freighters, with payloads varying from 80 to 200 tons, to replace all existing Ilyushin and Antonov cargo aircraft. The only operating aircraft with a comparable payload is the Antonov An-225 Mriya (up to 250 tons), but this is a one-off aircraft created specially for the Soviet Buran space shuttle program. Last year, it was reported that future military air freighters will be developed by the Ilyushin Aviation Complex, with some experts saying the company may base designs on the Il-106 cargo plane (80 tons) project that won a government tender in the late 1980s, but was abandoned after the collapse of the Soviet Union. 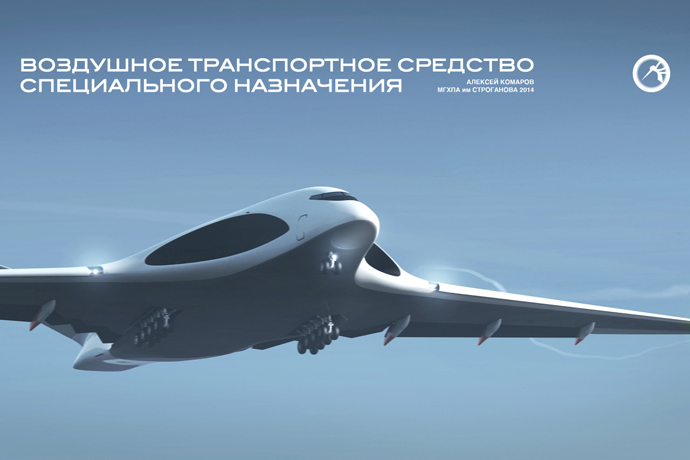 Now, with ambitious specifications and objectives, the PAK TA is a truly next-generation transport aircraft. According to Russian Defense Ministry a series of military exercises with live firing was launched simultaneously in Russia’s southern and western regions and in the Far East. 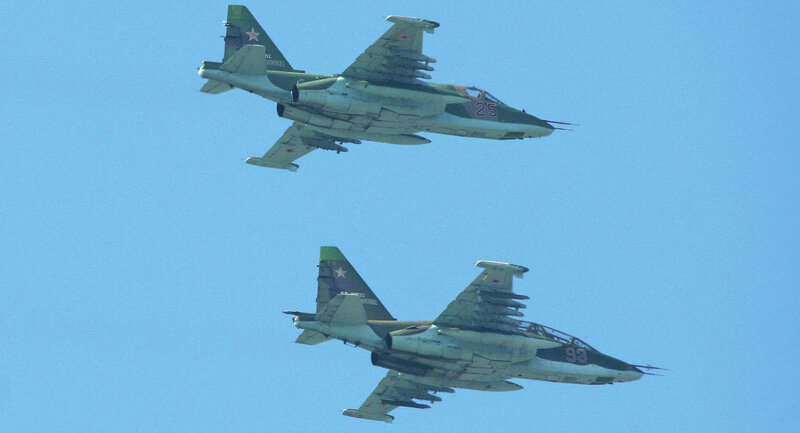 MOSCOW (Sputnik) – A series of military exercises with live firing were launched Wednesday in Russia’s southern and western regions and in the Far East, the Defense Ministry said.During a tactical fight training exercise in South Russia’s Stavropol Territory, about 20 Su-25SM (NATO reporting name Frogfoot) fighter-bombers will make 30 sorties with live firing of missiles and rockets. Meanwhile, some 7,000 kilometers (4,200 miles) away, the Peresvet and the Admiral Nevelsky amphibious warfare ships have begun exercises in the Sea of Japan that include live firing at secure coastal targets. Air defense units in the westernmost Russian region of the Baltic exclave of Kaliningrad, have also launched large-scale exercises involving over 500 servicemen and 100 units of military hardware. 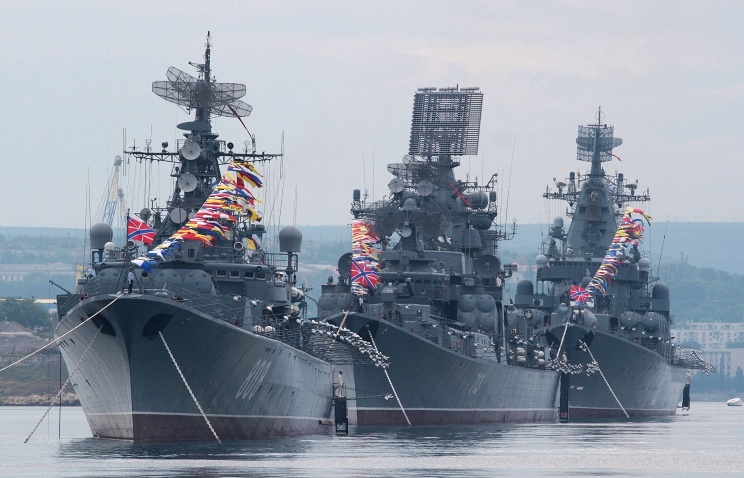 The current Russian military drills are taking place concurrently with the annual US military exercises in Estonia and NATO naval drills in the Black Sea. Warships from Turkey, Bulgaria and Romania are participating in the Black Sea exercises. On Monday, the United States sent 120 armored vehicles, including Abrams tanks, to Latvia as part of a NATO mission to demonstrate support to bloc members. Russia plans to hold at least 4,000 military drills in 2015, the defense ministry said in December 2014. Ukraine accepted delivery of 20 Saxon armored vehicles from Britain last month to be weaponized and put into action by the army, a top aide to President Petro Poroshenko said Monday. The vehicles — known as Saxons — came without weapons, which Ukraine plans to add before use by the army. Last month the press service of Ukraine’s National Security and Defense Council (NSDC) said 20 Saxon armored vehicles had already arrived in the country and another 55 would be shipped shortly.NCDC Secretary Oleksander Turchynov said during a visit to the National Guard Training Center that although the armored vehicles need some readjustment they would be adapted for the Ukrainian army. Turchynov added that the vehicles would enter service in the Ukrainian army as soon as they had been tested at a training range. “My concern is the inadequate nature of these vehicles which I ordered out of British Army front line service when I was Commander in Chief Land Command 2005-2006. They were withdrawn from Iraq and never deployed in southern Afghanistan,” Dannatt told The Daily Telegraph. The UK no longer uses the Saxon — but they are still utilized by countries including Nigeria and Bahrain for moving troops around. A projected army will help the bloc fight external threats all over the world and show Russia the EU’s serious approach to upholding its values. MOSCOW (Sputnik) — President of the European Commission Jean-Claude Juncker is advocating the creation of a Europe-wide army, Germany’s Welt am Sonntag weekly reported Sunday.”Such an army would help us to build a common foreign and security policy, as well as jointly assume the responsibilities of Europe in the world,” Juncker said in an interview. A European army, according to the EC president, could “react credibly” to dangers facing the 28-member bloc or its neighbors. Juncker added that forming the European armed forces would signal to Russia the hitherto political and economic union is “serious about upholding the values ​​of the European Union.”Welt am Sonntag reports the EC head’s proposal has found support in the German legislature, with chairman of its foreign affairs committee noting that time has come for the vision to materialize. “The Europeans spend enormous sums of money for the military combined, much more than Russia. But our military capabilities remain an insufficient security policy as long as we maintain small national armies, which make and buy many parts of the same thing on a smaller scale,” Norbert Rottgen was quoted as saying.Moscow, for its part, has on numerous occasions pointed to an unprecedented expansion of the North Atlantic Treaty Organization toward Russia’s western border.